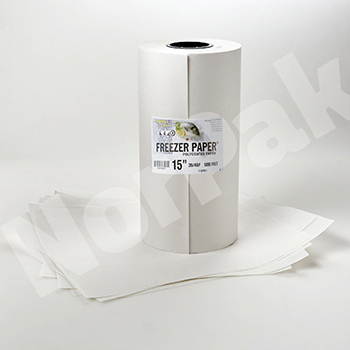 Freezer Wrap Paper Sheets | Prevent Freezer Burn | Norpak Corp.
Freezer Wrap is available in two grades: a 35 pound (57 GSM) and a 40 pound (65 GSM) bleached kraft sheet that have 5 pounds (8 GSM) of low density polyethylene laminated on one side. Freezer Wrap provides excellent protection for up to one year against freezer burn in frozen food applications. Since polyethylene is an integral part of the finished sheet, Freezer Wrap is an excellent sheet for products with high moisture content. 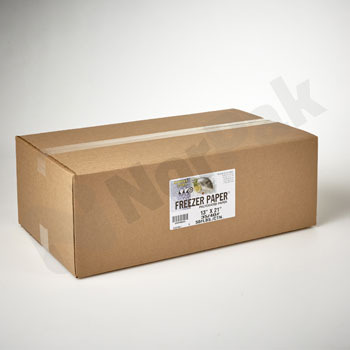 Norpak’s Freezer Paper is ideal for wrapping fresh fish, poultry and cheese. Freezer wrap also makes an excellent wrap for noodles and is used extensively in the pasta industry.